You are an agent with a time tracker that enables you to back track in time to your previous state. Your goal is to eliminate the enemies agents and neutralize their tracker devices.Your clients is counting on you. 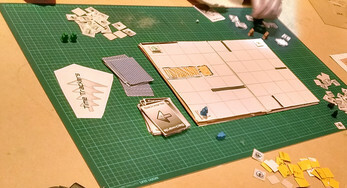 Time tracker is a 3-4 player game made in cardboard and paper. Made at the 2015 cardboard gamejam on MAH & inspired by a processing game "Time control". By: David Rhodin,Alrik He and Linnea Möller. 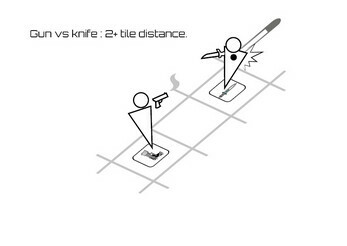 Use sticky tac for assamble the game board, cards and tokens. 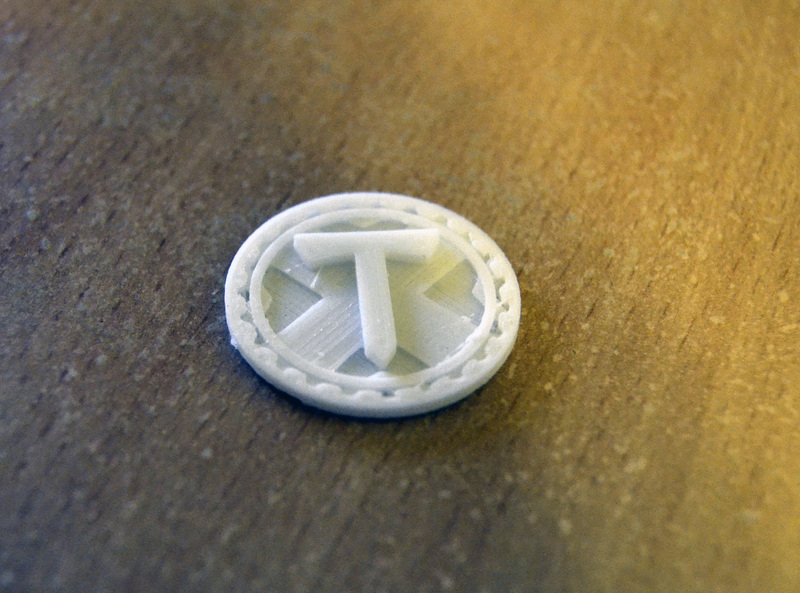 Cut out tokens for track tokens, shooting tokens and the spawn token from thick paper. Print out and cut out the 3 decoy tokens (blank cardboard pieces) 12 track tokens , 7 shooting tokens for each player. Use glue or sticky tac to stick the paper with the graphic to the cardboard pieces. 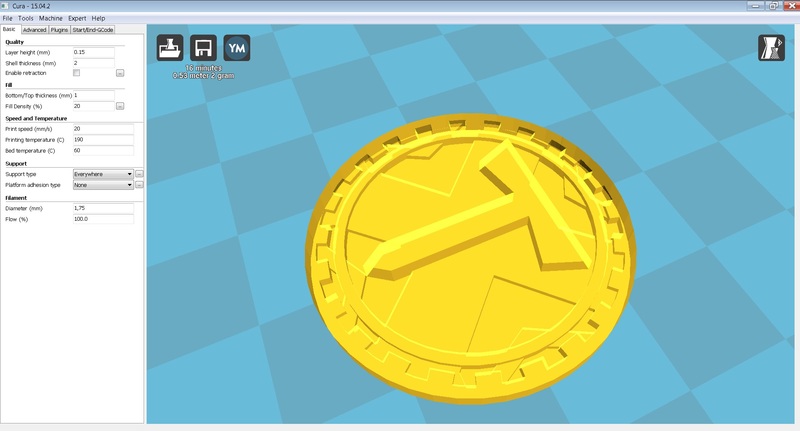 Paint out the tokensPrintout.pdf file in color with no scaling. 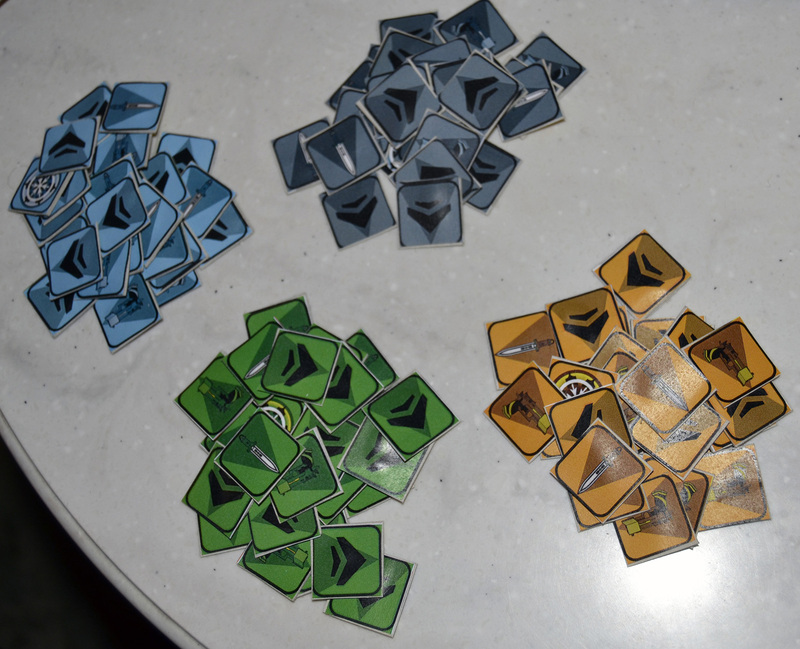 cut out all tokens and player pieces and glue them onto thick paper. Make 36 cards from the cardPrintout.pdf file and som plastic tradingcard sleeves + regular deck cards as stiffner to the makeshift cards. Cut out 4 piece of card board and tejp it together and make sure that it's foldable. Each of the piece will have a sheet of A4 paper glued on to it. Print out the boardPrintout as big as the printer allows on A4 paper. The main board is divided into 6*8 checker board for 2-4 players. 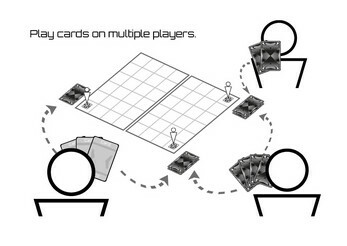 By linking 2 pages.You can extend it to 12*8 for additional players 4-6.By linking 4 pages. Cut out fitting pieces of hard paper for the walls and obstacles. 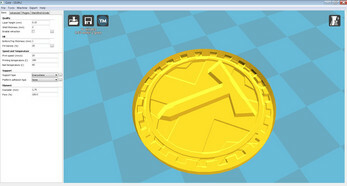 With a slicer program & Order token.stl file you can 3d print a coin if you have a 3d printer. Otherwise print it out in 2d & glue it to some cardboard. 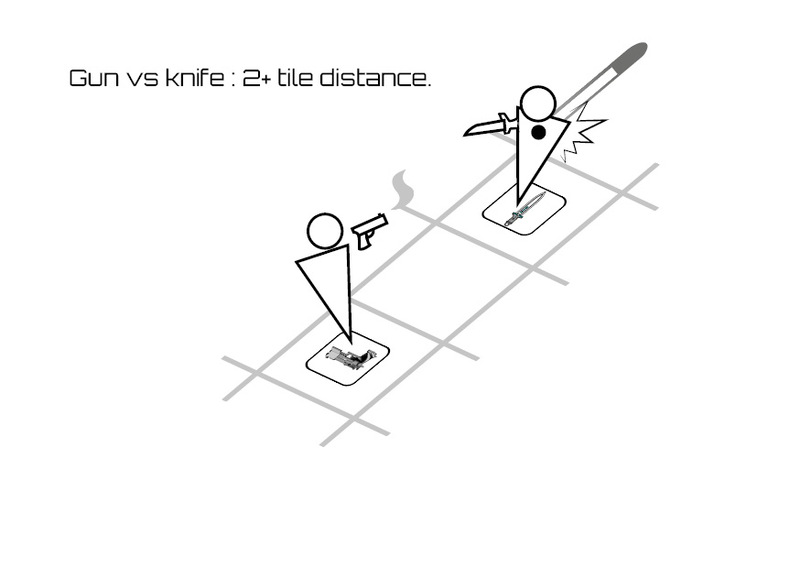 You must have a wall or obstacles from between each spawnpoint to prevent instant spawn kill. 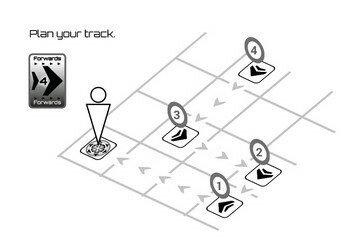 The layout of the walls could be customizable but leave the corners of the board free from obstacle. Time Trackers is an player versus player arena game where the base mechanic in the game is the ability to go back in time by methodically retracing one's steps. 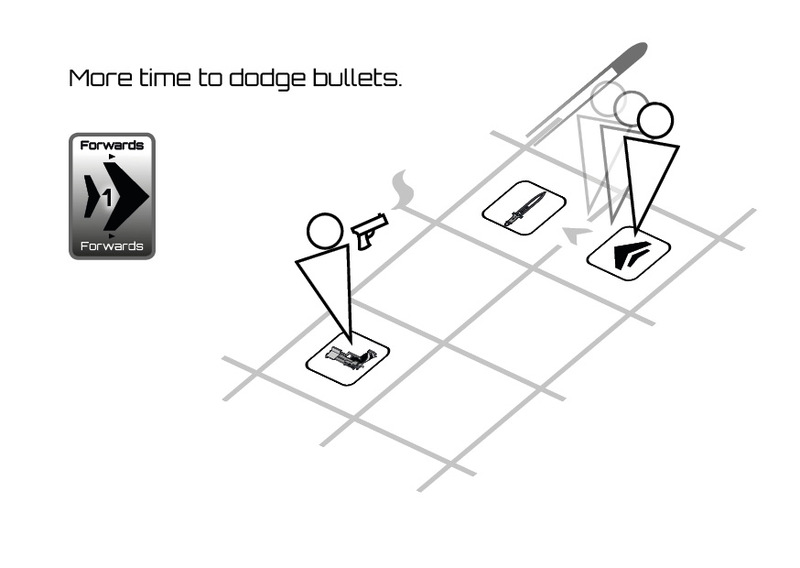 Concerning mechanics and the game itself, it's great you took efforts in keeping the most playful elements of going back in time and still keep the game engaging. Though I would suggest you find some ways in constraining some aspects somewhat, where (for example) the limitations are for walls and obstacles being placed other than the corners of the board. 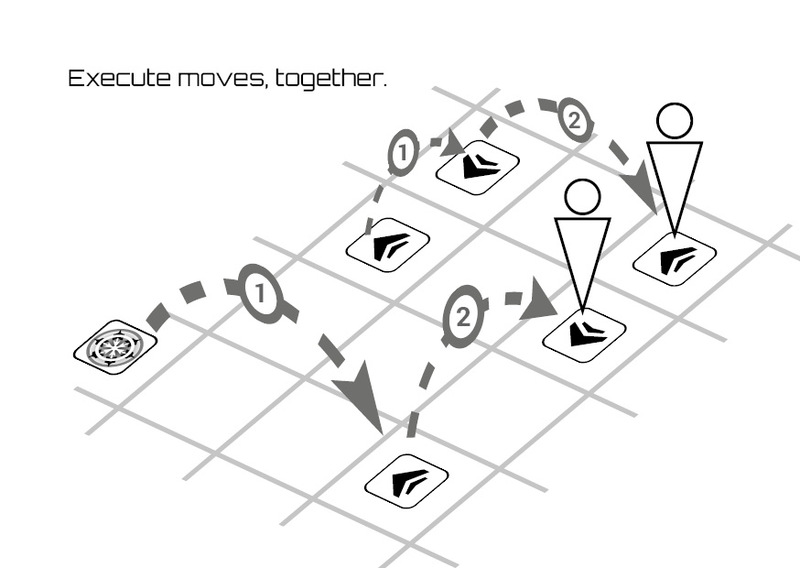 This can be done with a modular board, or if actual limits are placed on where and how walls/obstacles are placed before the game begins. In terms of practicality, you may want a pdf file of the assembly instructions as well for convenience. 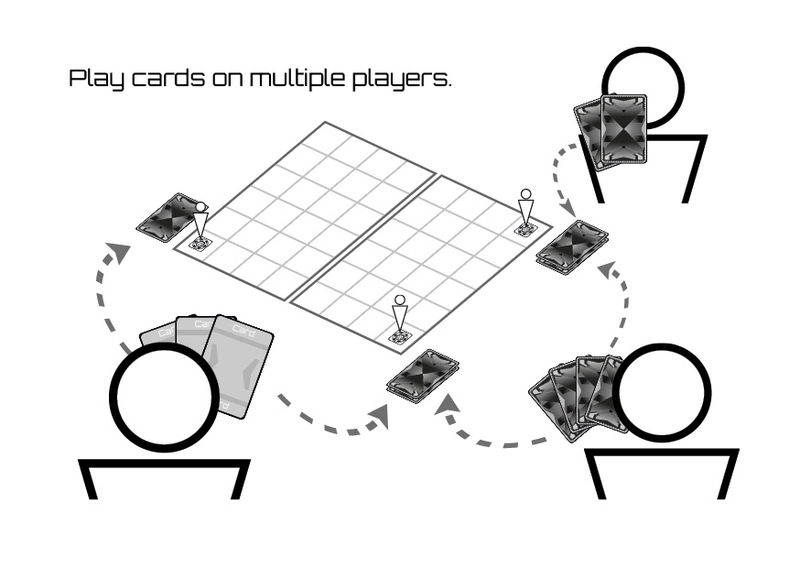 You may have to add diagrams to the rules you have produced, or perhaps a video will greatly benefit those who wish to understand the game clearly. 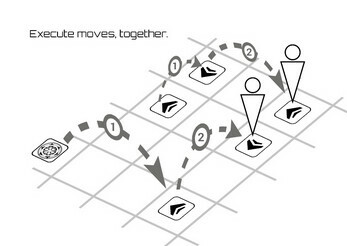 Do not forget to add your teammates to the jam entry and game, setting them as contributing as well.